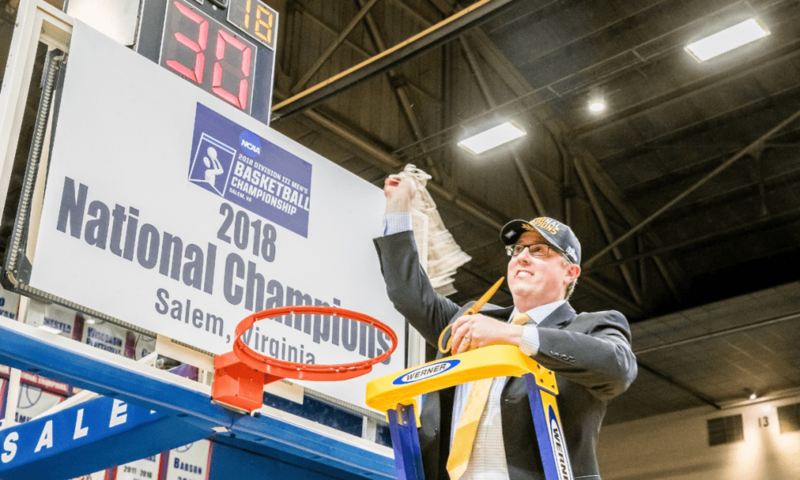 Nebraska Wesleyan won the 2018 Divison 3 National Championship last year and are off to a hot start to this season. I want to give credit to Jordan Sperber (Twitter Bio) who did a fantastic breakdown on the Princeton Offense and how it fits with today's modern basketball. He talked about how Nebraska Wesleyan runs a portion of the Princeton Offense - the "Point Series," which involves some basic action into an elbow touch that triggers different reads. I went into a deep dive into how Nebraska Wesleyan runs their Point Series, and it is one of the best series I have come across this year. In this breakdown we will look at all of the options and reads in their Point Series as well as some counters they run for quick hitters to allow easier scores. In total we will look at the 10 main options as well as 5 counters that Nebraska Wesleyan has run this year, starting with their basic action to trigger their reads. Become a member to see this full breakdown!